Candidates who are awaiting the AP ECET Notification 2019 can check this page to get the latest updates. Furthermore, the officials of the Jawaharlal Nehru Technological University Anantapur had planned to conduct the Andhra Pradesh Engineering Common Entrance Test (AP ECET)on 19th April 2019. For that purpose, they have released the notification as attached in this page. Moreover, the registration for the AP ECET Notification 2019 will be from 18th February 2019 To 27th March 2019. Make a note that the eligible candidates can get their AP ECET Hall Ticket 2019 from the 11th April 2019. On the base of diploma holders and B.Sc (Mathematics), degree holders are likely for getting the admissions for to the second year of B.E/ B.Tech and in 2nd year B.Pharmacy courses. So, check the complete page to apply for the released notification. The Jawaharlal Nehru Technological University Anantapur will conduct the AP ECET Examination as an entrance test for the Engineering/ Pharmacy courses. And, from the above table applicants can get detailed information about the AP ECET Notification 2019. Moreover, aspirants can download the official notification through this page. 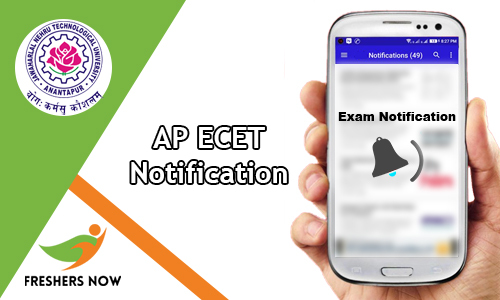 Furthermore, all the particulars regarding AP ECET Notification 2019 will publish on the official website of the AP ECET that is sche.ap.gov.in. In addition to this, we have also gathered all the details in this article. 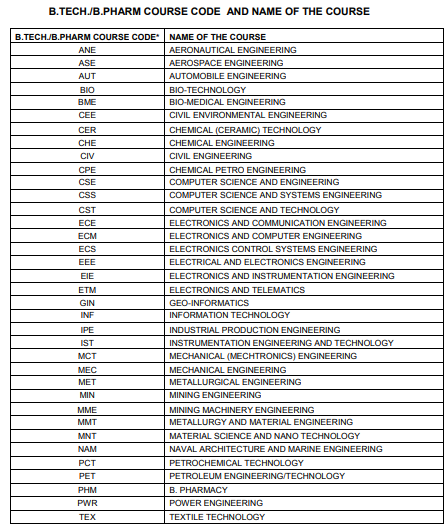 In this section, we have provided the AP ECET Online Application Form details. So, applicants can refer this page to get the clarity about the AP ECET Notification 2019. And, after completing the filling application form candidates need to start preparation. Moreover, we have also attached the latest AP ECET Syllabus 2019 and AP ECET Previous Papers on our website. So, competitors can stay tuned to our website to get fresh updates. In addition to this, download the syllabus and previous papers from our site to start the preparation. And, the candidates need to fill the application form with the valid details. Therefore, while filling the form aspirants need to be careful. They should belong to the State of Andhra Pradesh. The candidates should satisfy local/non-local status requirements as laid down in the Andhra Pradesh Educational Institutions (Regulation of Admission) Order, 1974 as subsequently amended. They should have obtained a Diploma in Engineering and Technology/ Pharmacy from the State Board of Technical Education of Andhra Pradesh State or any other Diploma from an AICTE approved institution recognised by the Government of Andhra Pradesh as equivalent thereto for admission into the relevant B.E./ B.Tech./ B.Pharmacy courses into the Courses corresponding to the Diplomas as given in the following Annexure. They should have passed the 3-year B.Sc Degree examination with Mathematics as one of the subjects in the group combination from a recognized University in the state or its equivalent for entry into relevant courses as given in the following Annexure. Candidates who are pursuing a Diploma course shall be eligible for entry into the relevant B.E./ B.Tech./ B. Pharmacy courses provided they have completed the prescribed course and passed all the subjects for the award of diploma course before admission into the college. Contenders who had applied for the AP ECET Notification 2019 need to all the particulars before attending the examination. As we mentioned in the above section, the AP ECET Exam will be conducted on 19th April 2019. Therefore, applicants who are willing to join in Engineering/Pharmacy courses after completing their Diploma need to apply before the due date. Furthermore, some of the applications which are submitted on the last day will be rejected. In addition to this, to submit the application form contenders need to pay the fee. The registration fee for the AP ECET Notification 2019 is 550/- for the application which is submitted before the last date. Moreover, candidates need to 1000/- along with the registration fee when they are supposed to submit the application with late fee. Candidates who ready to apply for the AP ECET Notification 2019 can follow the below given steps. The above link will be activated on 18th February 2019. And we think the provided information related to the AP ECET Notification 2019 is helpful to the candidates. Moreover, applicants who are having queries can leave a comment in the below comment box. And, for more fresh updates aspirants can check our website freshersnow.com.